Love from the Kitchen: Tuesday Garden Party - Ghosts! While we have the usual growth in our tomatoes, corn, sweet peppers and hot peppers, the most exciting thing happening in the garden this week is the emergence of a few of our ghost pepper seedlings! The package of seeds led us to believe (by having it written on the package itself) that there would be a 90 day germination period. Which felt like an awfully long time. 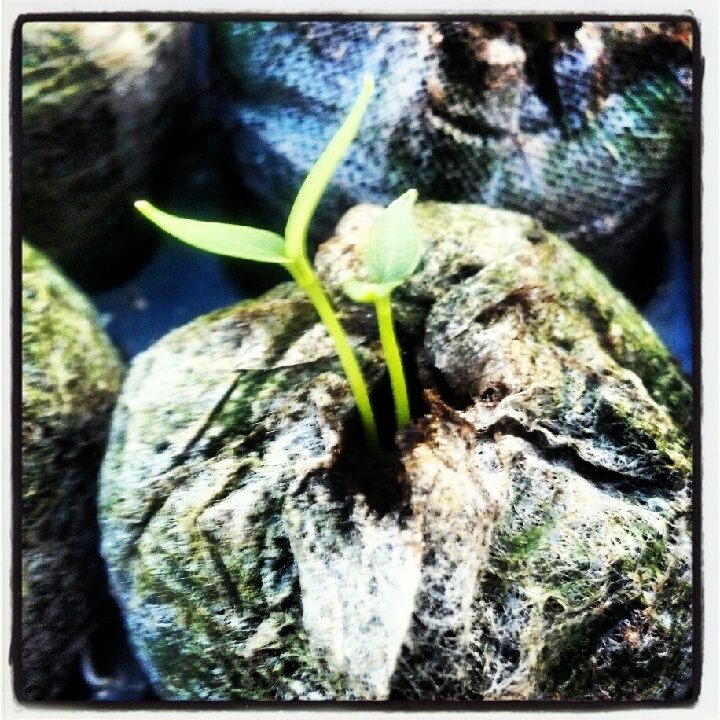 But, as you can see, we've got some ambitious little guys only 10 days after planting! The ghost pepper, until recently, was the hottest pepper ever measured. 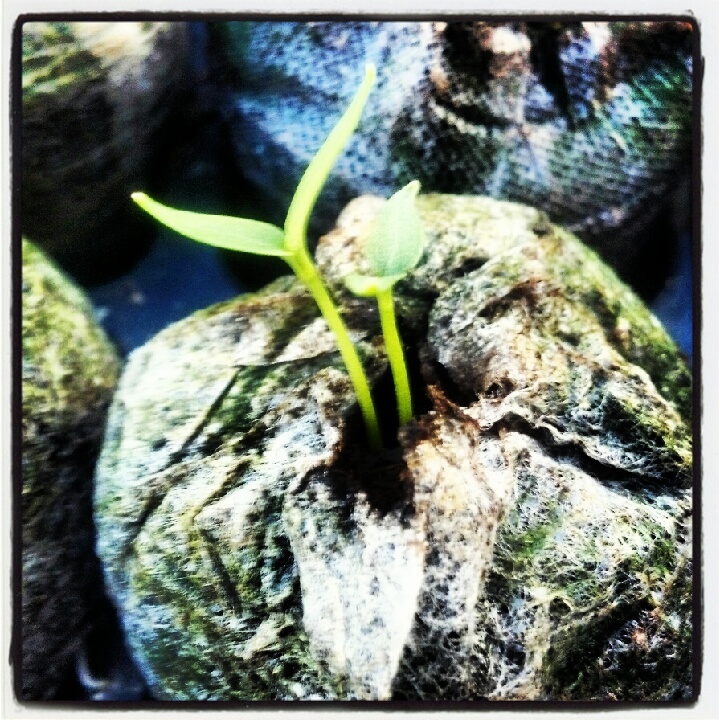 Now the hottest pepper is the scorpion pepper (and we've planted those as well)! You might ask, what will we do with all these ridiculously hot peppers. Well, we've got a lot of plans for them actually. Place all but the vinegar in a food processor and pulse till pureed. Add to pot with vinegar and cook 15 minutes. If needed blend again for a smooth sauce. Fill hot sauce into sterilized hot bottles or jars. Let age for at least 1 week. Would you eat a ghost pepper salsa? Do you have any great recipes for super-hot peppers? that's one hot plant -- litereally! How exciting to be trying out all these hot peppers--can't wait to see what they look like! Nice job on the pepper germination! You two are much braver than I am! I am a sweet pepper gal. 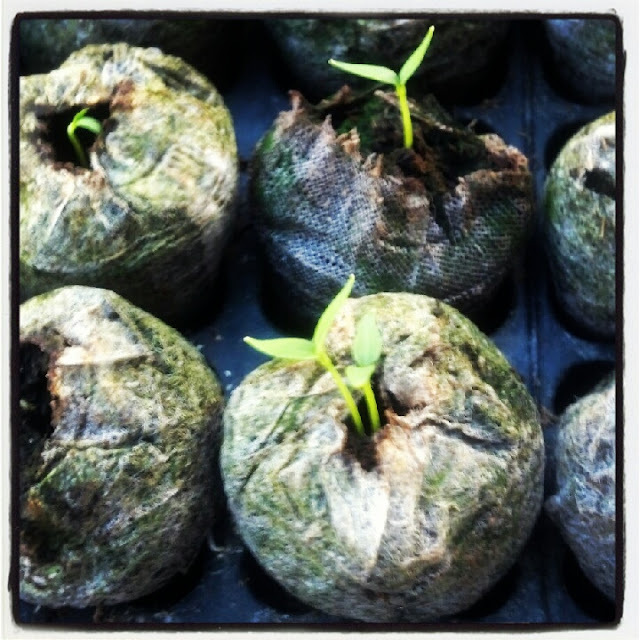 Look forward to seeing how your peppers grow.